(Originally when excavated, this was numbered as Reg. II, Insula 6, no.3). 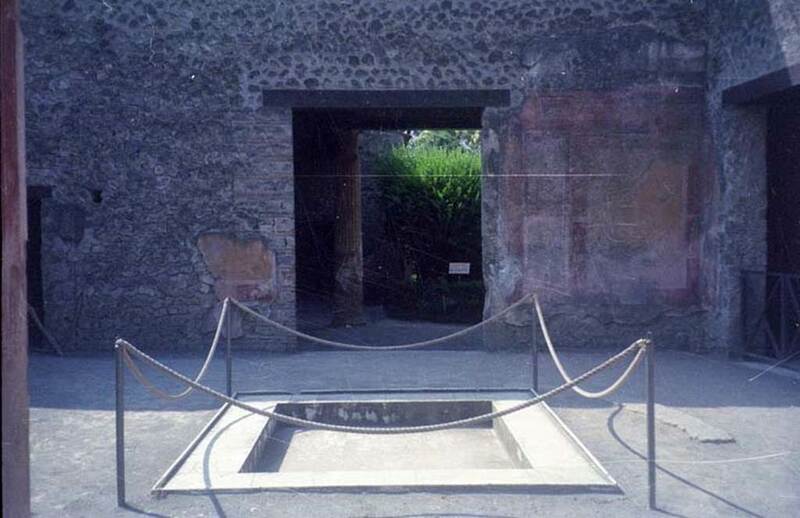 II.3.3 Pompeii. May 2016. Looking towards entrance doorway on south side of Via dell’Abbondanza. 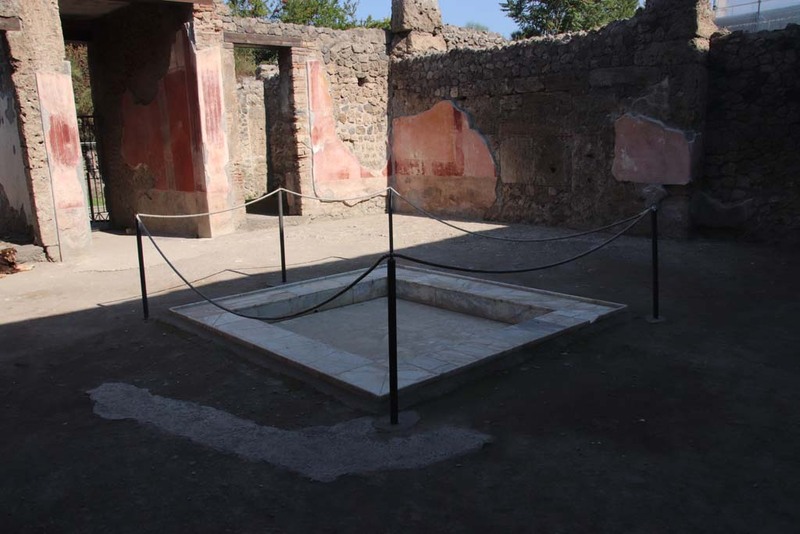 II.3.3 Pompeii. June 2012. Entrance doorway, looking south. Photo courtesy of Michael Binns. 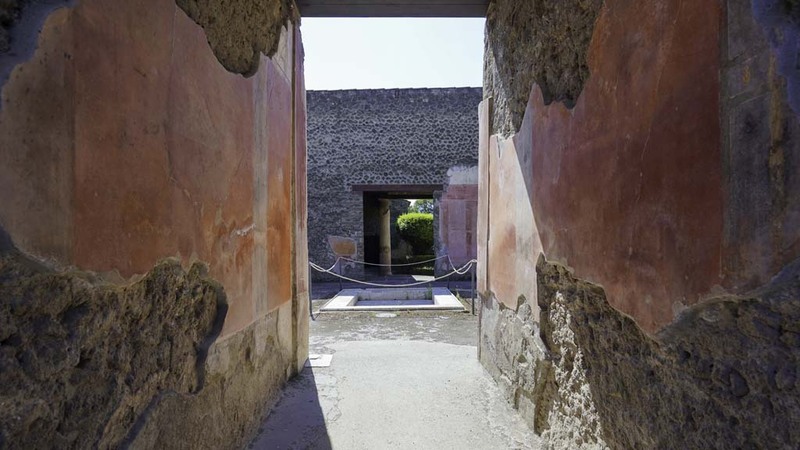 II.3.3 Pompeii. December 2004. Entrance. II.3.3 Pompeii, 1982 or 1983. 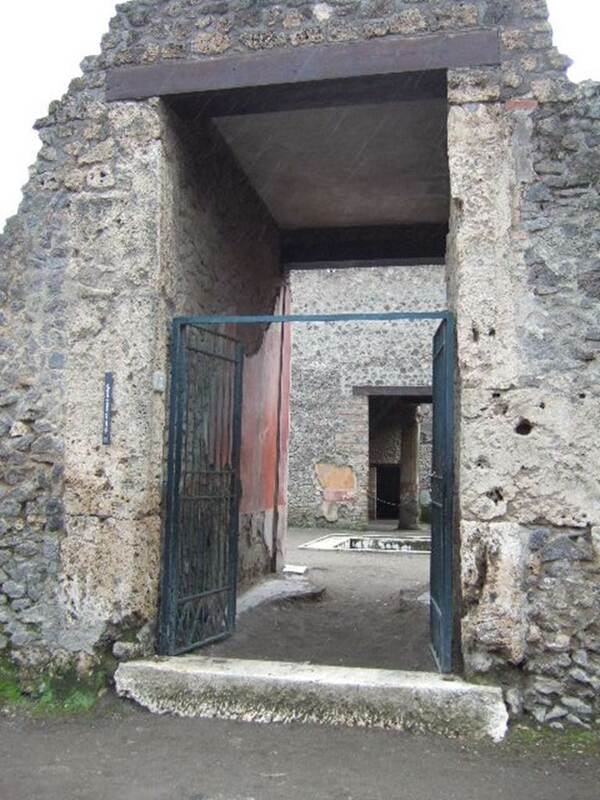 Looking towards entrance doorway on south side of Via dell’Abbondanza. 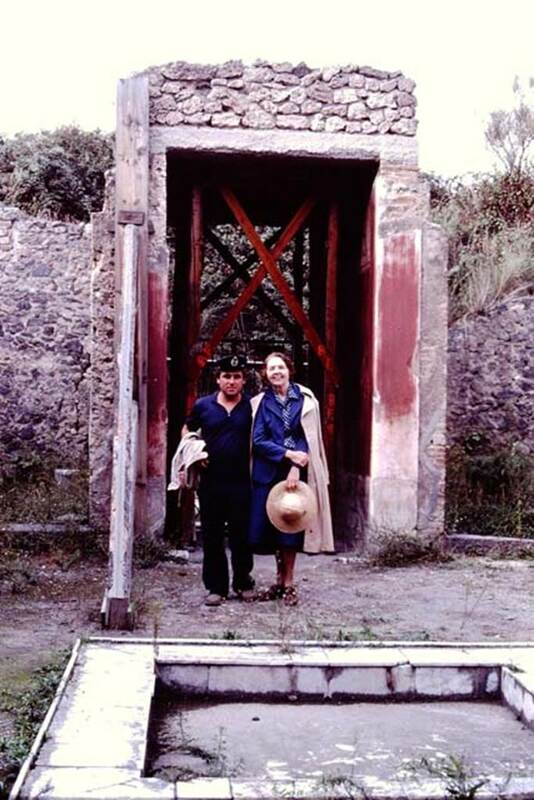 II.3.3 Pompeii, 1982 or 1983. Entrance doorway, looking south into atrium. 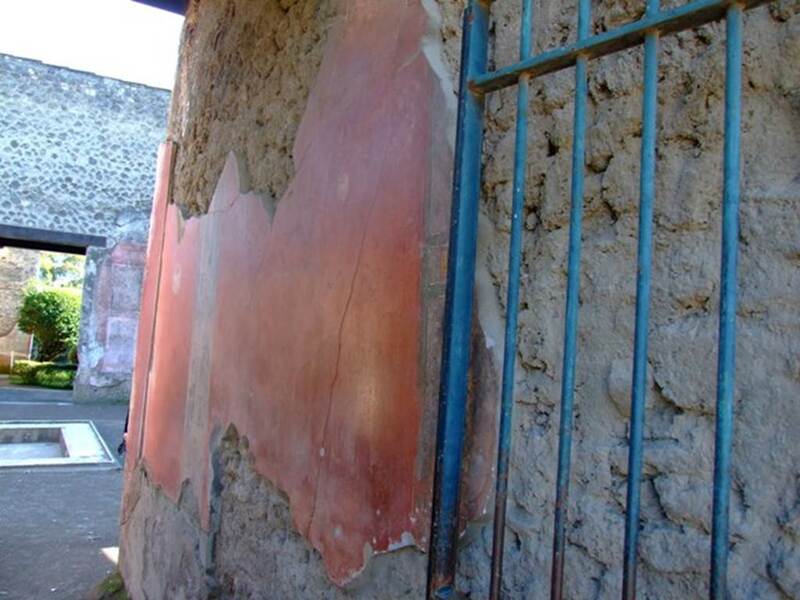 II.3.3 Pompeii. December 2004. Room 1, entrance corridor or fauces, looking south across atrium. 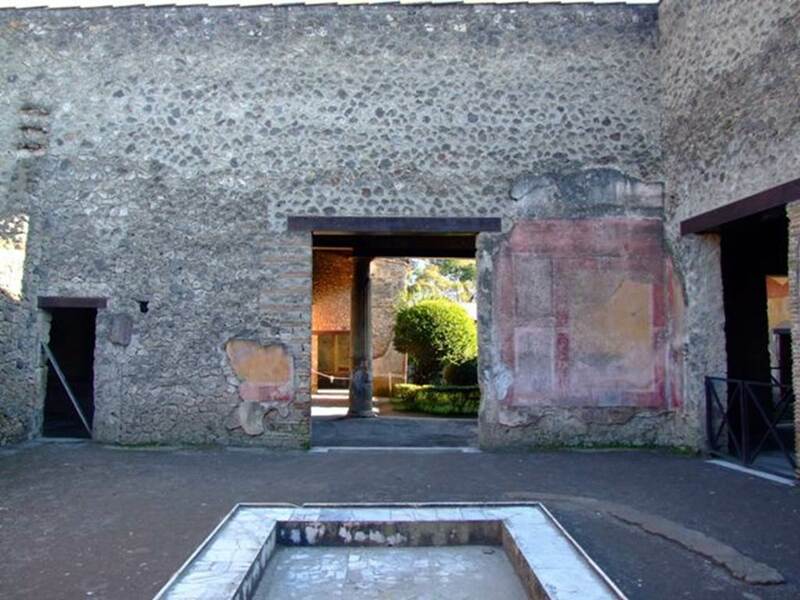 II.3.3 Pompeii. May 2016. Room 1, east wall of entrance corridor or fauces. Photo courtesy of Buzz Ferebee. 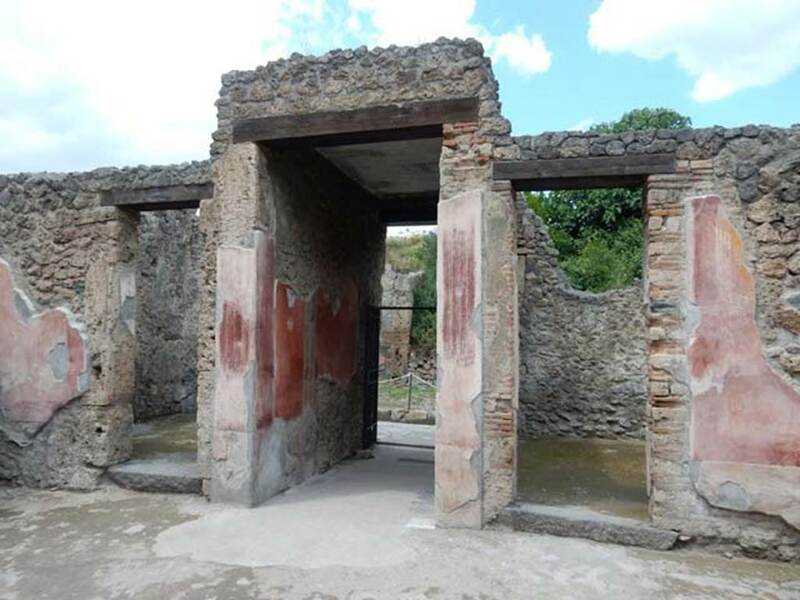 II.3.3 Pompeii. March 2009. Room 1, east wall of entrance corridor or fauces. 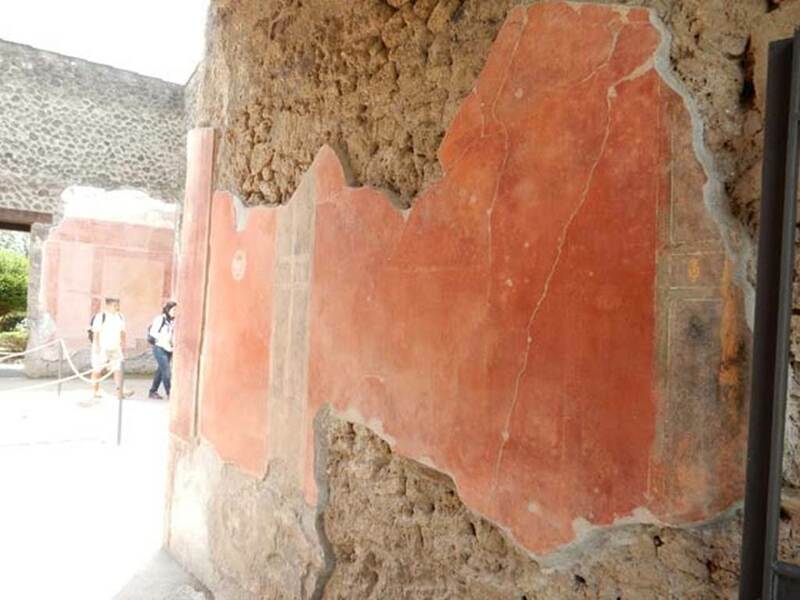 II.3.3 Pompeii. May 2016. 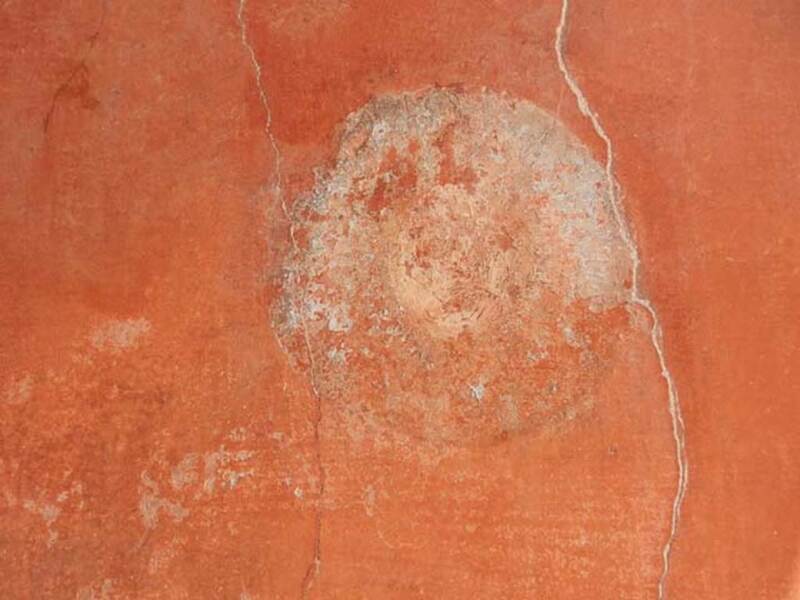 Room 1, painted medallion on east wall of entrance corridor or fauces. Photo courtesy of Buzz Ferebee. 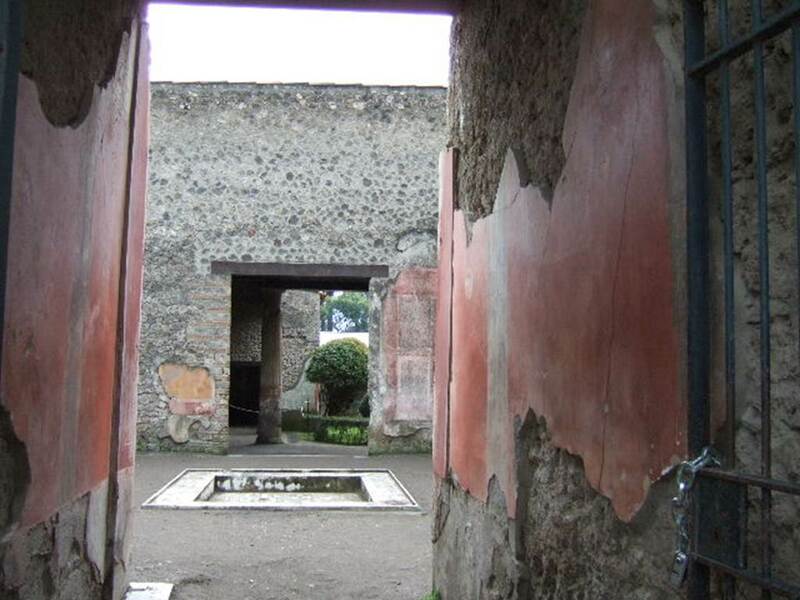 II.3.3 Pompeii. May 2016. 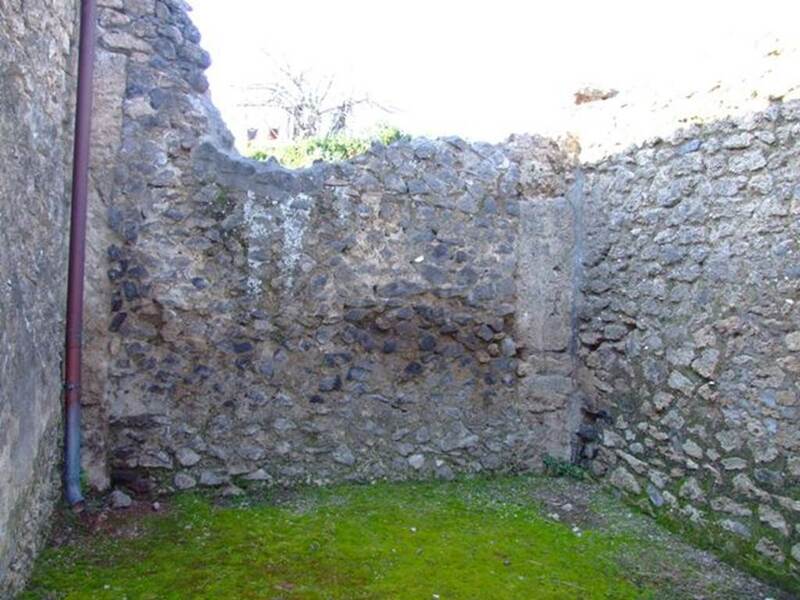 Room 1, west wall of entrance corridor or fauces. Photo courtesy of Buzz Ferebee. 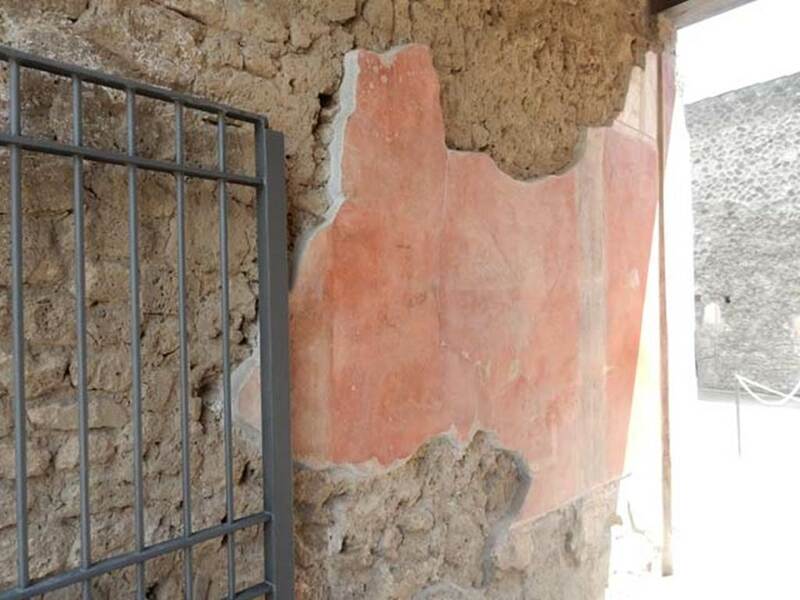 II.3.3 Pompeii. March 2009. Room 1, west wall of entrance corridor or fauces. 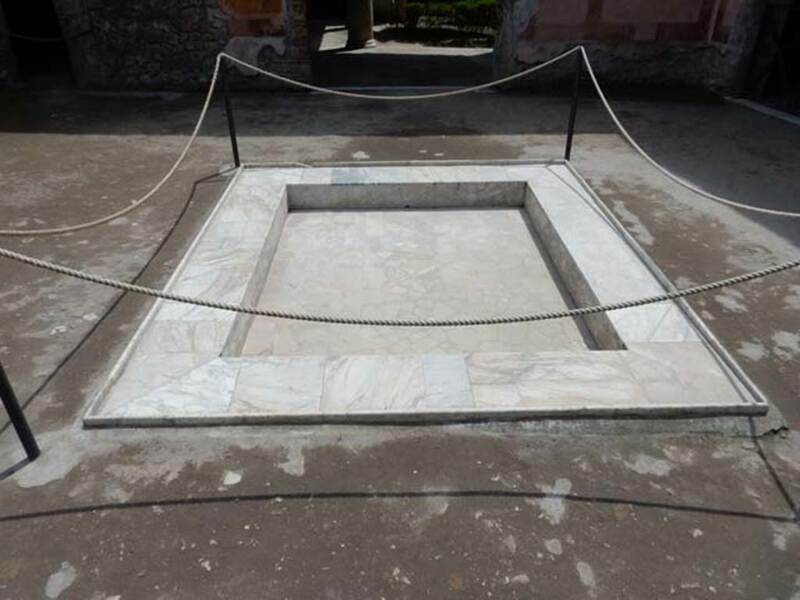 II.3.3 Pompeii. May 2016. 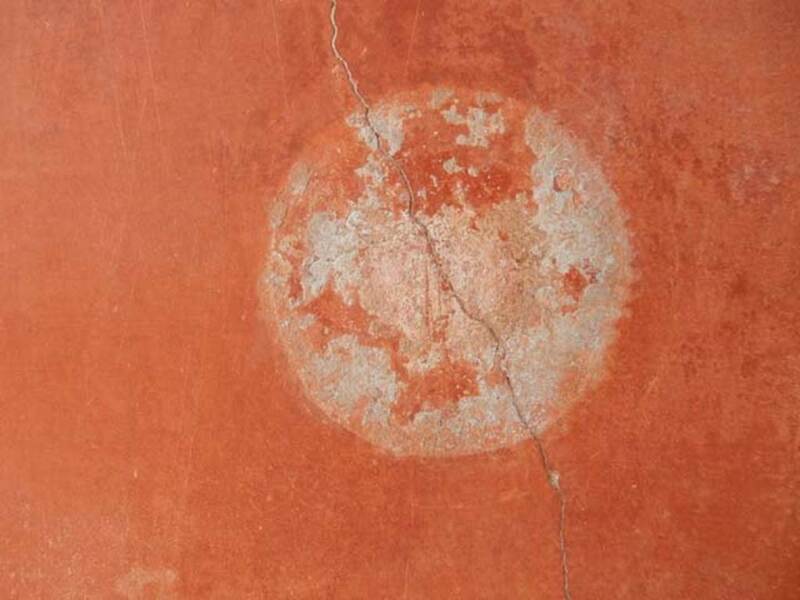 Room 1, painted medallion on west wall of entrance corridor or fauces. Photo courtesy of Buzz Ferebee. 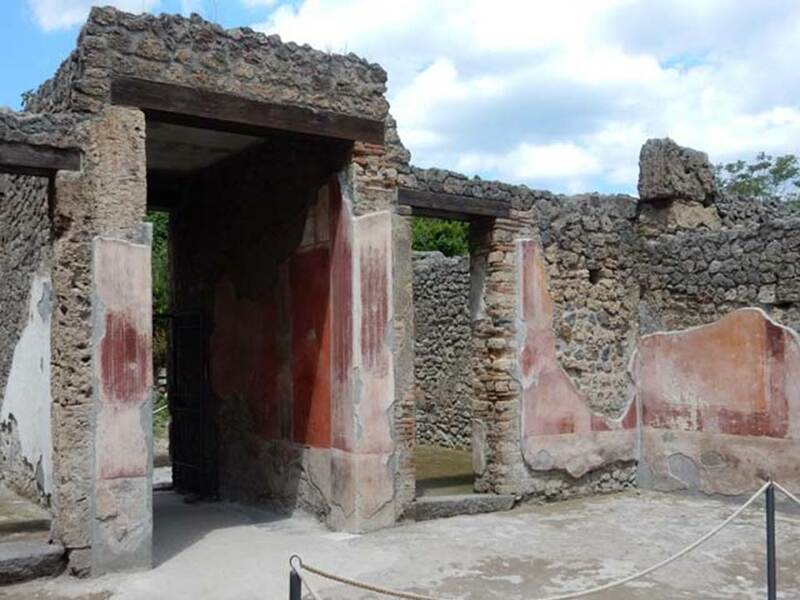 II.3.3 Pompeii. July 2011. Room 2, atrium. Looking south across impluvium. Photo courtesy of Rick Bauer. 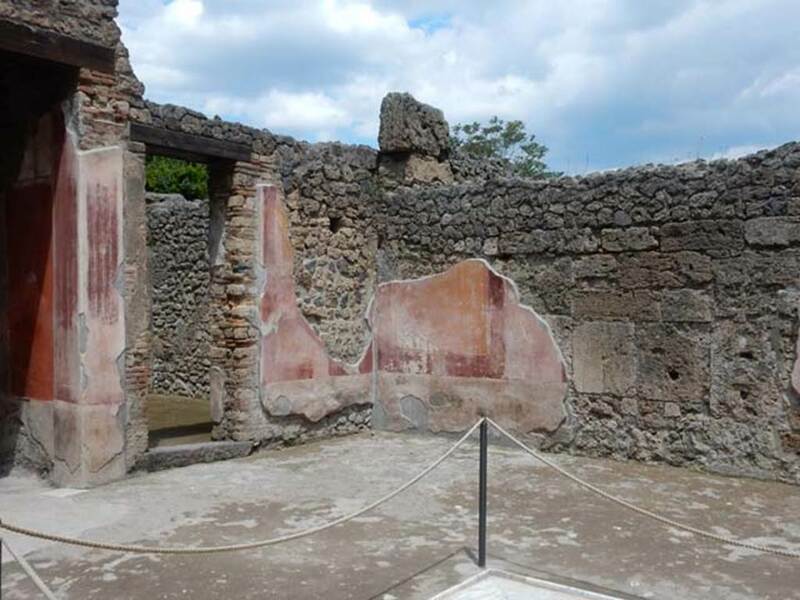 II.3.3 Pompeii. May 2016. Room 2, atrium. Looking south across impluvium. Photo courtesy of Buzz Ferebee. 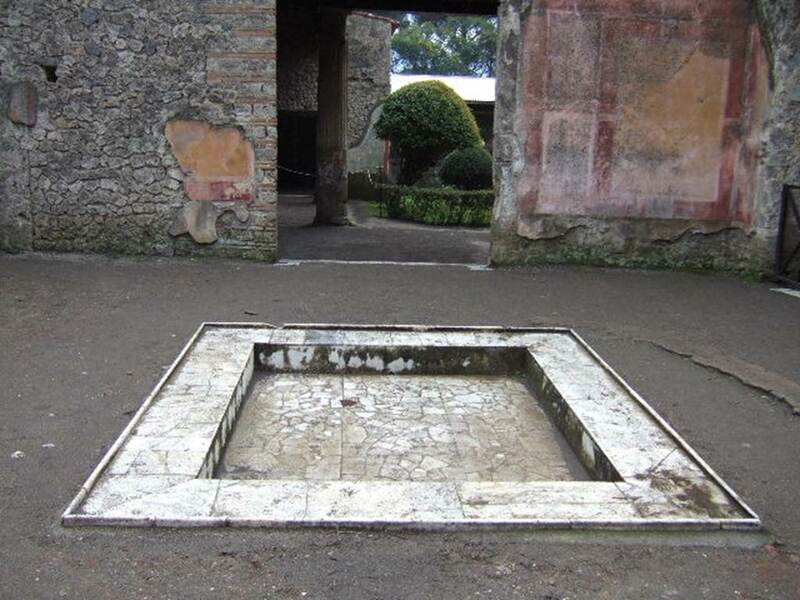 II.3.3 Pompeii. December 2004. Room 2, atrium. Looking south across impluvium. 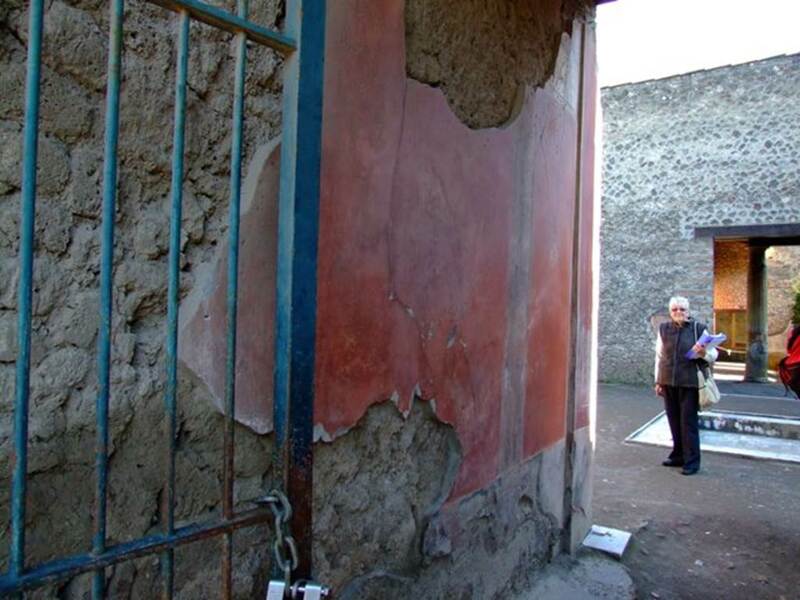 II.3.3 Pompeii. March 2009. Room 2, atrium. Looking south to north portico of garden area. 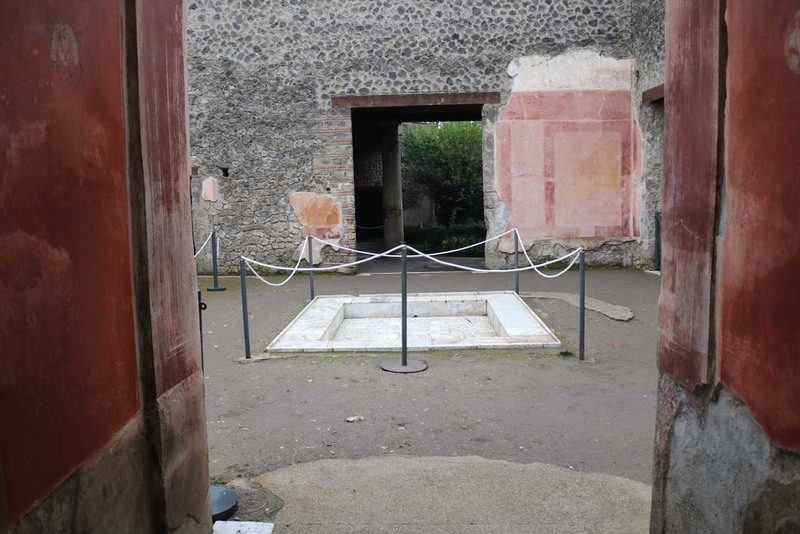 II.3.3 Pompeii. May 2016. Room 2, atrium, looking north. Photo courtesy of Buzz Ferebee. II.3.3 Pompeii, 1982 or 1983. Looking north across impluvium to Wilhelmina and custodian near entrance doorway. 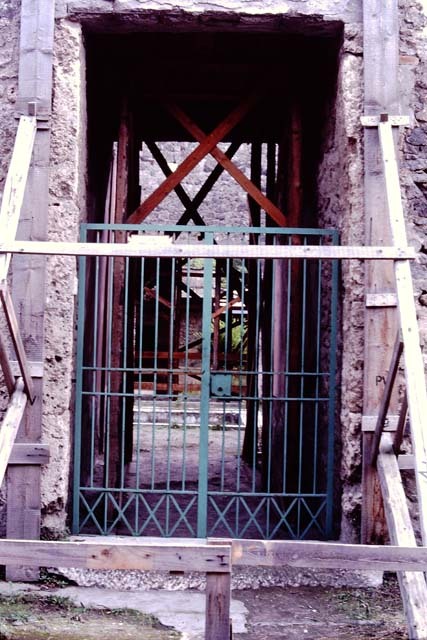 II.3.3 Pompeii. May 2016. Room 2, atrium. Looking north to entrance doorway, in centre, and room 3, on right. 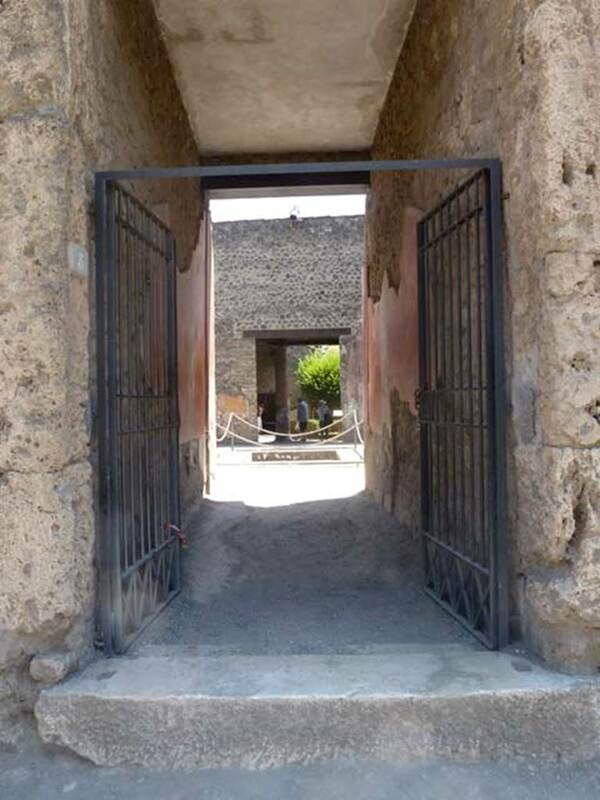 II.3.3 Pompeii. March 2009. North-east corner of atrium, with doorway to room 3. 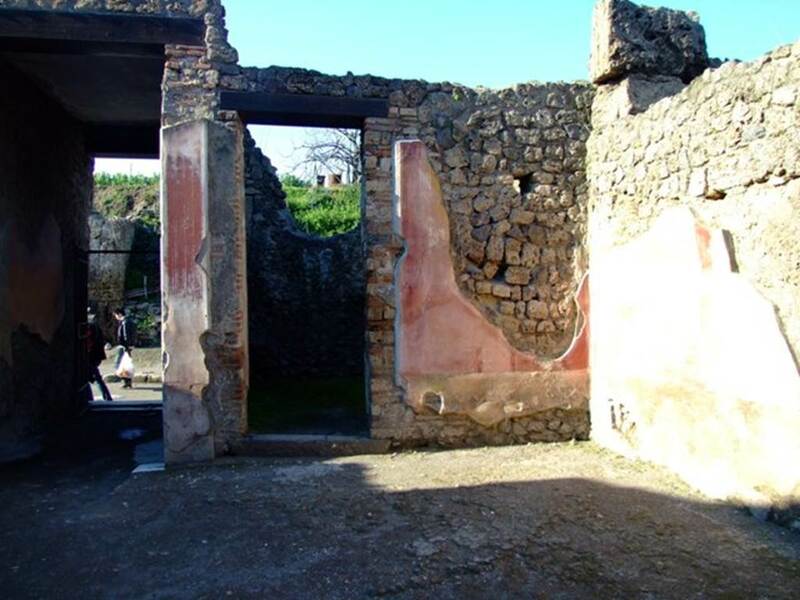 II.3.3 Pompeii. May 2016. Doorway to room 3, in north-east corner of atrium. Photo courtesy of Buzz Ferebee. 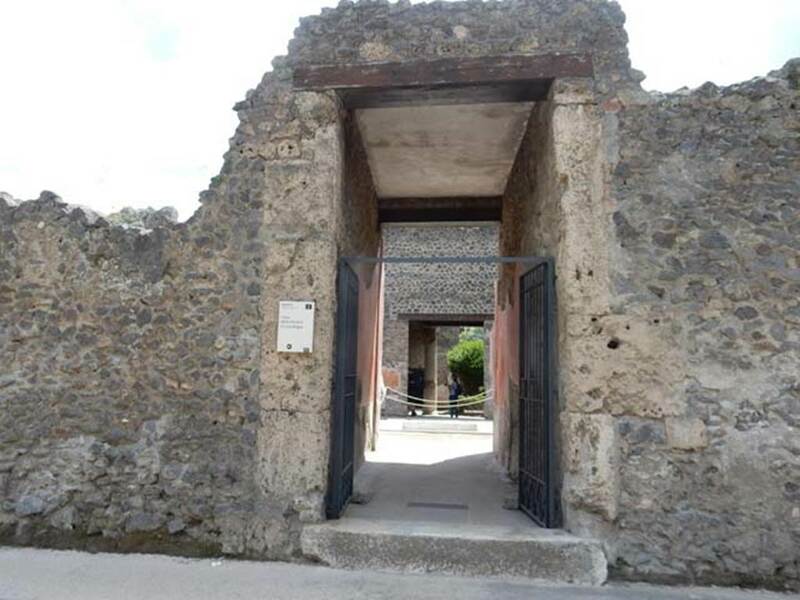 II.3.3 Pompeii. March 2009. Doorway to room 3. 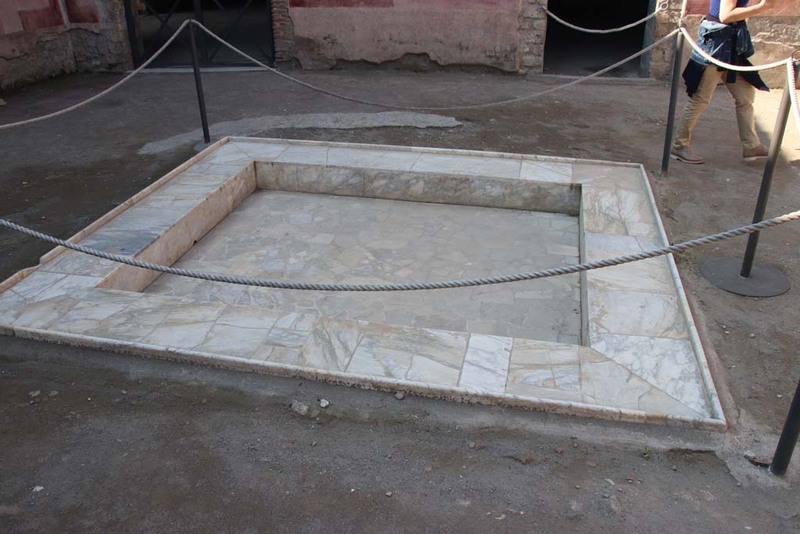 II.3.3 Pompeii. March 2009. Room 3, looking north. 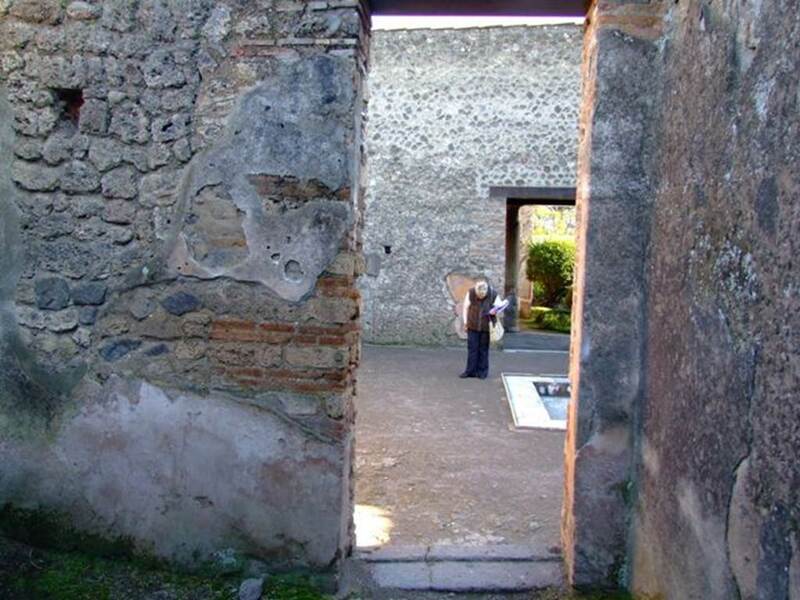 II.3.3 Pompeii. March 2009. Room 3, looking south, with doorway to room 2, the atrium. 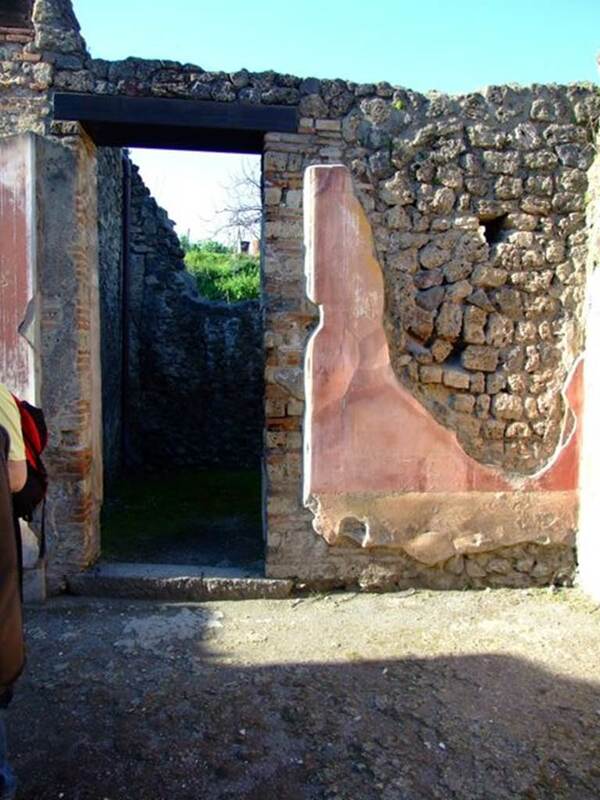 II.3.3 Pompeii. May 2016. Room 2, atrium, looking towards north-east corner and east wall. Photo courtesy of Buzz Ferebee. II.3.3 Pompeii. December 2005. Room 2, east wall of atrium. II.3.3 Pompeii. March 2009. Room 2, east wall of atrium, and south-east corner. 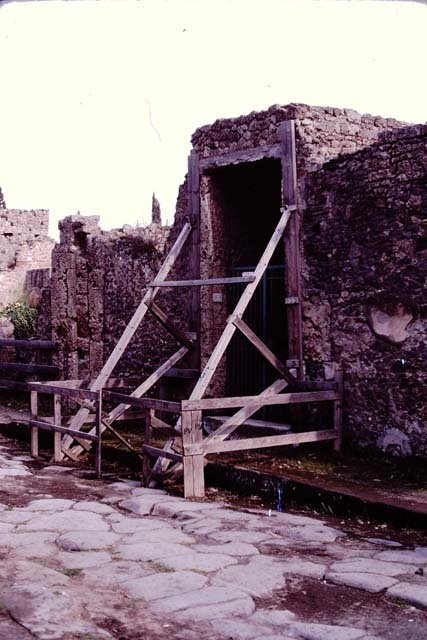 II.3.3 Pompeii. May 2016. Room 2, east wall of atrium, and south-east corner. Photo courtesy of Buzz Ferebee.